It’s that time of year for spring fever. You have probably already seen an increase of runners, cyclists and motorcyclists while out driving around. In this article we will cover some safety tips specifically for sharing the roadway with motorcycles. Unlike drivers of cars, trucks and SUVs, motorcyclists are completely exposed causing almost any accident to be life threatening. What’s worse, motorcycles are harder to see at intersections or while changing lanes. For this reason, it is our responsibility as drivers to not only share the road but take necessary safety precautions to prevent accidents with motorcyclists. Keep at least 1 car length per 10 miles per hour between you and the motorcyclist. This will give you time to react when the unexpected happens, as rear ending a motorcycle is often fatal for the rider. It’s always a good habit to check your mirrors and blind spots when changing lanes. You should also be mindful of motorcyclists on the road this time of year. They are much harder to spot than other vehicles and can easily blend in with other scenery in your mirrors. If you see a slower motorcyclist that you want to pass, be sure to signal to the rider and remember to leave several car lengths in front of the rider before returning to your lane. 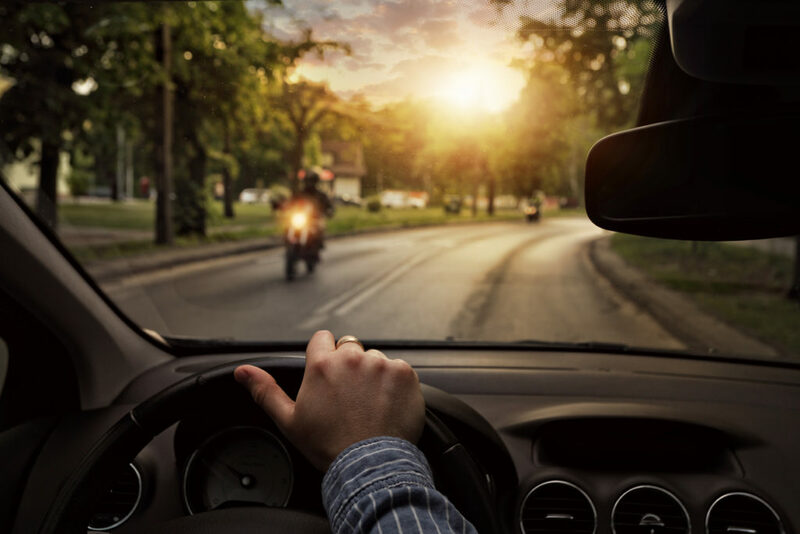 According to the Insurance Institute for Highway Safety, 44 percent of fatal motorcycle accidents in 2013 were caused by a car turning left while the motorcycle went straight at an intersection. Some motorcycles still have manual turn signals so they are not self canceling. Often motorcyclists, especially new riders, may forget to turn off their signal, making it difficult to tell which direction they are actually headed. So while at an intersection, try to make eye contact with the rider and always proceed with caution when headed in their direction. Regardless of where you are on the road, always give a motorcycle who is signaling a little extra time to see what they will do. We hope these tips help you stay safe on the roads in the upcoming months. If you do find yourself in an accident and are searching for a collision shop, contact Pole Position Auto Body in Warren, Michigan. Pole Position Auto Body has been providing collision repair for nearly 29 years. Let us restore your vehicle to it’s pre-accident condition in the most stress-free and efficient way possible. Call Pole Position Auto Body: 586-775-4825 – Where Excellence is a Habit, Not an Act!